Gifts, parties, nights out birthday celebrations can get expensive. 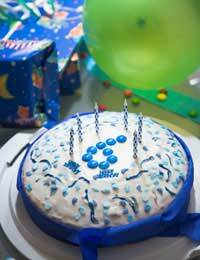 Whether the birthday celebration is for a child or an adult, it’s possible to save money and have a bargain birthday celebration that is both fun and memorable. Children’s birthday parties can be as expensive or as much of a bargain as you like – the chances are that the kids will enjoy themselves no matter what. Don’t feel bad if you don’t have a lot of money to spend on a birthday party – just use your creativity. Limit the guest list. Experts suggest no more guests than the child’s age.Themes are fun for birthday celebrations but don’t overspend on unnecessary and expensive merchandise. Don’t go overboard on food. An afternoon party means children will have had lunch at home and will have tea later. Cake and drinks should be enough. Make sure that you warn the parents on the invite because often hungry children will mean misbehaving children! Instead of party bags, why not have a crafty activity as part of the birthday celebration and children can take home the product? Have a pot luck party at home – ask guests to bring one dish and a bottle instead of a gift. Avoid expensive pubs and bars – do something in the day time instead such as a picnic or a day at the beach. Have a movie night at home – Rent your favourite film on DVD and get friends over for popcorn and a low key celebration. If it’s a big birthday year and you want to celebrate in style and rent somewhere out, you can still keep costs down. Rope in friends with skills such as cooking, DJ-ing, photography and children’s entertaining to avoid spending too much money on professional services. If you’re not careful you can spend a fortune on birthday gifts. If you need to save money it’s best to set a realistic budget for the gifts you can afford and limit the gifts you consider using this budget. Just because you can’t spend a lot of money, it doesn’t mean you have to search for gifts in the bargain bin – although you can actually find some great presents there! Don’t leave gift buying to the last minute. Birthdays happen at the same time every year so there’s no excuse for being unprepared really! If you keep an eye out all year, rather than racing round at the last minute, you’re more likely to find a gift that is just right for the recipient and a bargain to boot. Home-made gifts often mean a lot more to the recipient as well as being easier on your budget. Use a talent you have, for example frame a photograph you took, or bake cupcakes and decorate them attractively. Use your imagination. Consider whether people actually want more clutter. A gift of time might be a more thoughtful and well-received offering. For example, cinema tickets for two or a ‘voucher’ promising a slap-up meal cooked by you. This can work just as well for children too. Promise them a day at the beach or a picnic in the park. Set a date and stick to it though or children may be disappointed.